Aloha! I have created two fun vegan friendly simple protein packed chocolate treats the entire family can enjoy in leu of WelleCo’s #fuelyourfamily campaign featuring their nourishing plant protein powders for both adults and children! The first recipe we made was a Chocolate Peanut Butter Freezer Fudge with WelleCo Super Kids NOURISHING PLANT PROTEIN Chocolate. This Fudge is 100% vegan, dairy-free and only takes 5 ingredients. The Kids Nourishing Plant Protein was created with the needs of kids from the ages of 8-15 and their growing bodies yet wonderful for any age. The biggest benefit of the kids powder is that the formula is made with 100% plant based whole food ingredients instead of bulky whey proteins. It has 11 grams of protein in every serving and sweetened with air dried coconut sugar which is far better then regular processed sugars. Some of the ingredients include pre and probiotics to aid in digestion, lemon for vitamin C and its’ alkalizing properties and chickpeas for zinc gluconate to support the immune system. It’s nutrients like these that keep our boys fueled, strong and stoked to do more everyday! Super stoked to share these two recipes and hope you guys like them as much as we do! Use code EARTHYANDY10 for $10 OFF your first order on your choice of WelleCo’s nourishing protein powders. Oh ya! Either powder can be used in both recipes! Vegan fudge made with 5 ingredients: WelleCo Super Kids Nourishing Plant Protein, peanut butter, cacao powder, dates, and coconut oil. 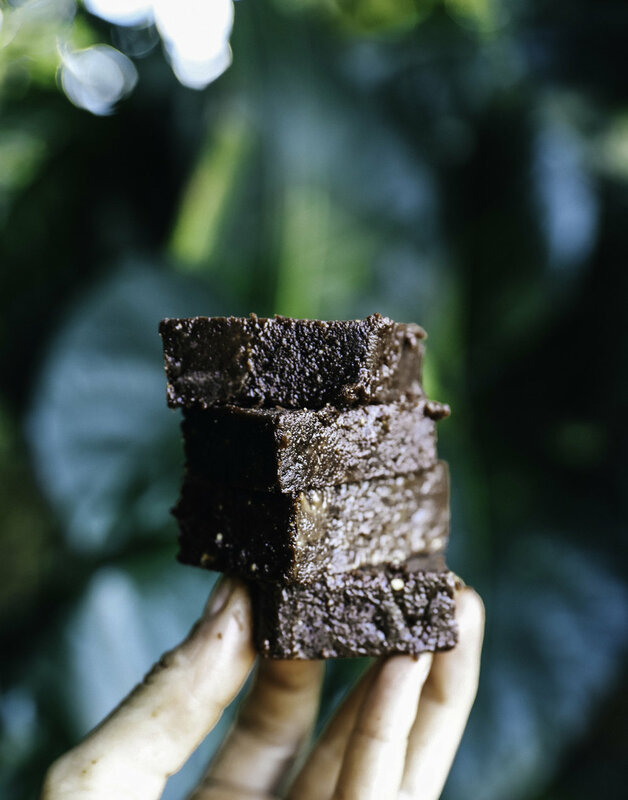 Naturally sweet, fudgy, intensely satisfying. Add all ingredients into a food processor and blend until smooth. If its a bit dry add a bit more coconut oil. If its a little clumpy don’t worry you can smooth it out in the next step. Transfer mixture to a little pan lined with paper and smooth out. Put in freezer and wait until firm. About 1 hour. Remove from freezer and slice into squares. For best consistency and to store leftovers cover in the refrigerator up to 1 week, or in the freezer for about a month! *Try to use organic ingredients. Blend and mash together until thick and creamy and enjoy! Add Peanut Butter for a yummy twist!